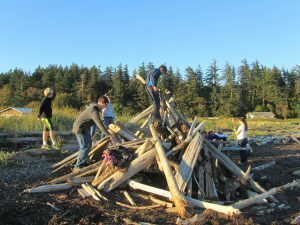 We begin each new school year with Fall Overnights, which afford our students opportunities in teambuilding and helps to create class cohesion. Providing the time and space outside of the regular classroom at the very start of school allows for students and faculty to get to know each other and yields benefits within the class all year long. Students bond over a variety of fun activities and make memories that last a lifetime!